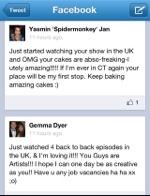 Did u Miss the Charlys Bakery show?! England loves it! 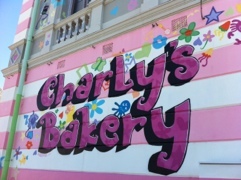 Ok, I am the only one that missed the Charly’s Bakery reality show?! 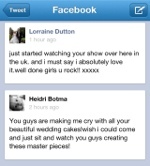 I remember a little bell going off about it but as a big lover of reality shows, I’m surprised I haven’t latched on. To add insult to injury, I’ve got BBC Entertainment’s ChoccyWoccyDoDah on “record all” on my PVR! Well, whilst I’ve been snoozing and losing, the UK has been gaining. 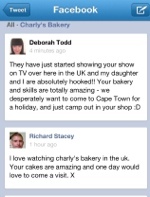 Turns out Charly’s Bakery is being warmly received in the UK, goooooo Cape Town! 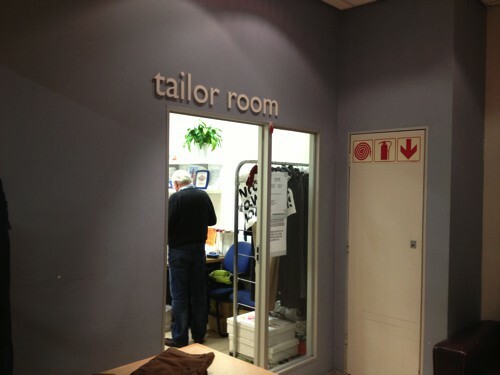 (Spin off rights of pride you see)! Next articleThe Assembly’s Alternative Online Radio Station, at last!